It's finally the Big Day! What better way to kickstart your wedding day than with a small brunch with friends and/or family. This is the perfect way to start your day before all of the excitement begins. Since hair and make up can be a full day thing, make sure to feed your girls while this is happening! We usually recommend breakfast and lunch depending on how long of a day it is going to be and how many bridesmaids need hair and makeup. No one wants to eat that bagel that has been sitting there since 8AM at 2PM Karen! Refresh and replenish as needed (or assign one of your bridesmaid’s this task, Susan) happy bridesmaids = happy bride. Hangry bridesmaids = unhappy bride :). Let's talk cocktails! May as well start getting your drink on, we all know a little alcohol helps take the edge off, no better excuse for this than brunch. Grab your girlfriends and head over to the bubbly bar. 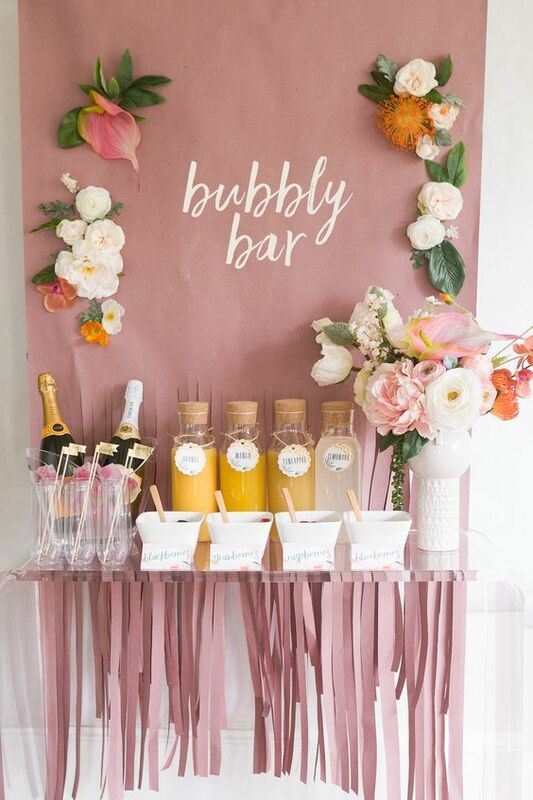 We absolutely love this cute mimosa bar, and think that every bride should include this in her wedding weekend! This is a must have for the morning of the wedding. Recommend: clear liquids only. And don’t overdue it! Remember it is going to be a long day. As you have a big day ahead of you, and a lot of eating, we suggest keeping it light. 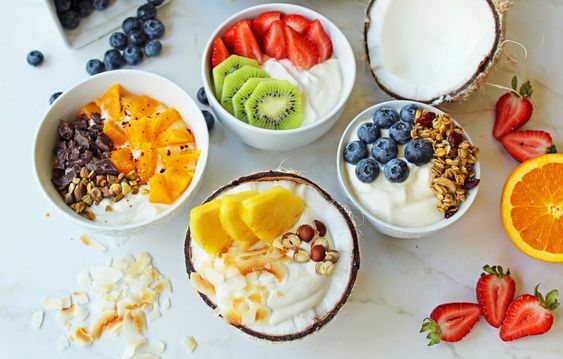 Fruit is key, mix this with some yogurt and granola and you have the perfect balance of a light sustainable meal to keep you until after the ceremony. Spice this up with some almond flakes, and cinnamon. Another option is an avocado toast bar, this is great as guests can simply make it themselves as everyone has different preferences when it comes to avocado toast. Like the fruit and granola, this option is good because it is light but filling. Add as many toppings as you need to start the big day! We hope that this has given you the perfect brunch guide to the morning of your wedding. Happy Brunching!